Our Juliet Cropped Easywear Blazer is made of our signature 70/30 polywool fabric. Easywear is machine washable and available in 9 stylish colors including our new bright royal blue. 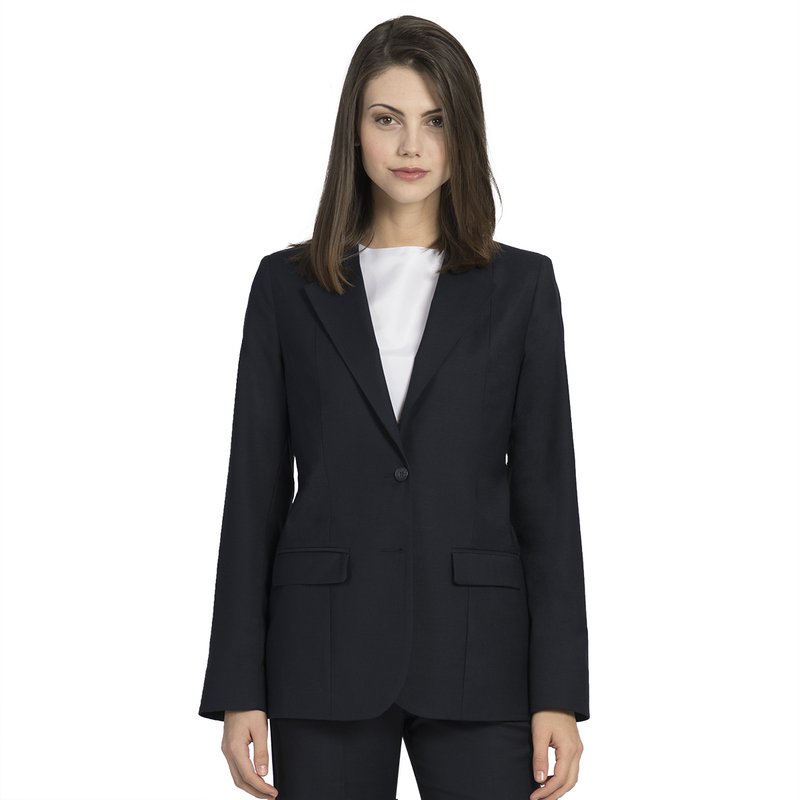 The Juliet Blazer features a single suiting button closure, a tailored fit and a flattering cropped silhouette. 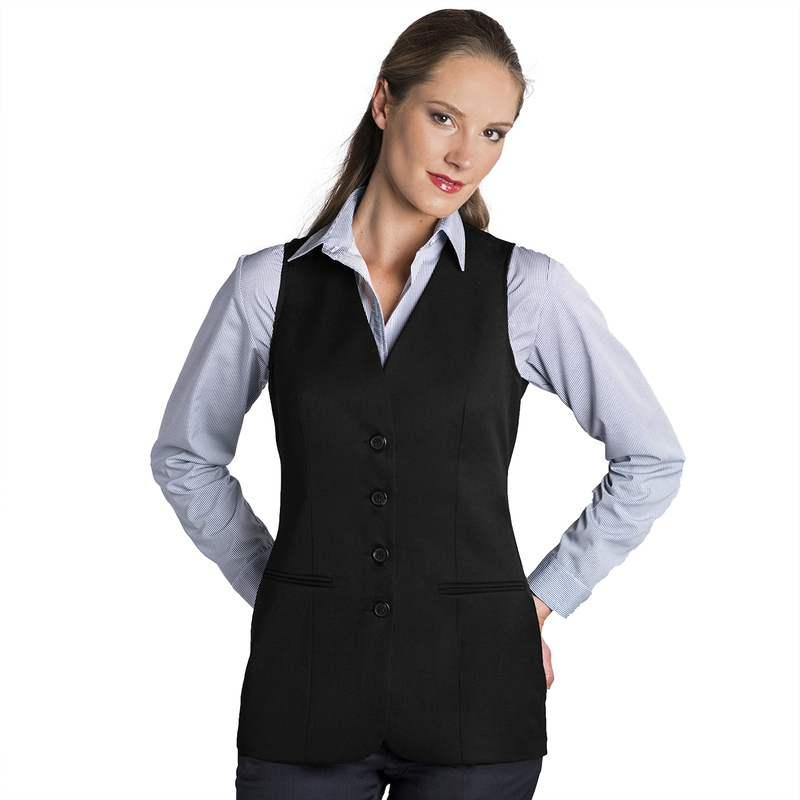 Additional features include lower besom pockets, a double vented back and a full lining. 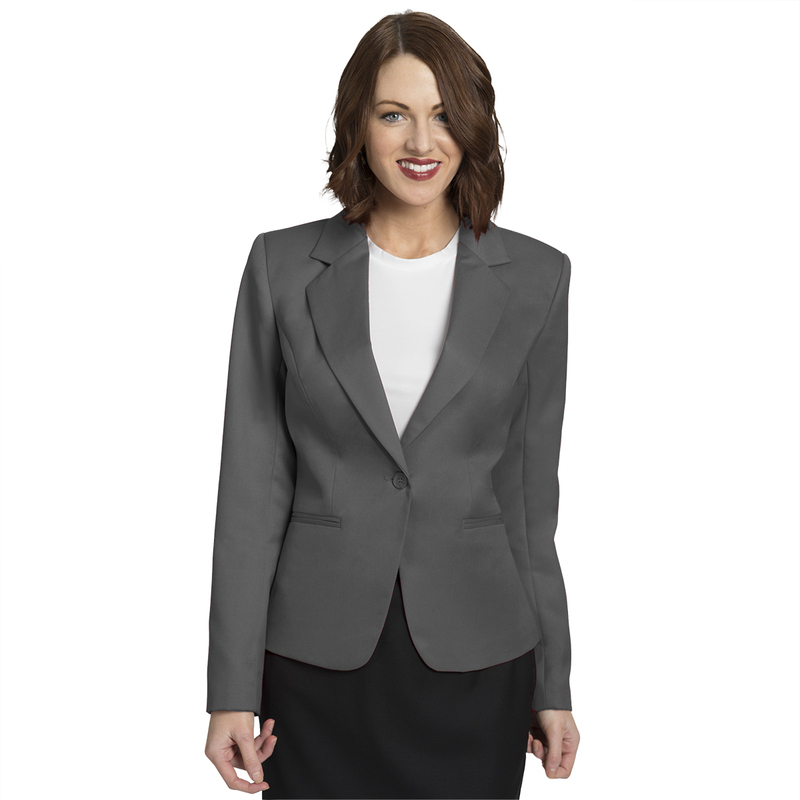 This lovely blazer is available in classic gray, navy, black, and charcoal. If your client needs a pop of color over a dress of a crisp white blouse choose our newest color—bright red! See it on the cover of our career catalog here. The Juilet Blazer is stylish enough to dress up the most casual uniform of khakis and a sleeveless top. Or try pairing it with a slim dress like our Simone sleeveless dress. Contrasting colors like red and blue or complimentary colors like black and charcoal give your program character. The Juliet Cropped Easywear Blazer is a winner for any stylish women’s program. Tags: Cropped Blazer, Easywear, Juliet, polywool.